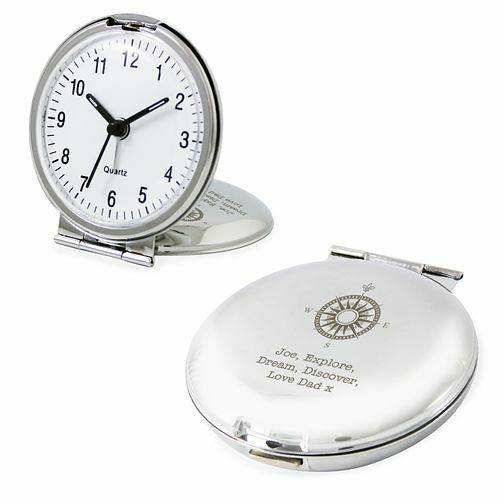 Perfect for keen travellers and those who love to adventure this sleek travel clock engraved with compass motif can be personalised to the lid with your own special message. Personalised Compass Round Travel Clock is rated 5.0 out of 5 by 2. Rated 5 out of 5 by Anonymous from Lovely product This product is a lovely gift and can be personalised for any occasion, liked it so much I ordered an extra 5.